This is a photo of the staff of Martins Newsagent in Queensway, Town Centre taken in the early 1980s. Shown are Maureen Thompson, Rose Burrett and Iris Cartwright. This page was added on 16/09/2013. 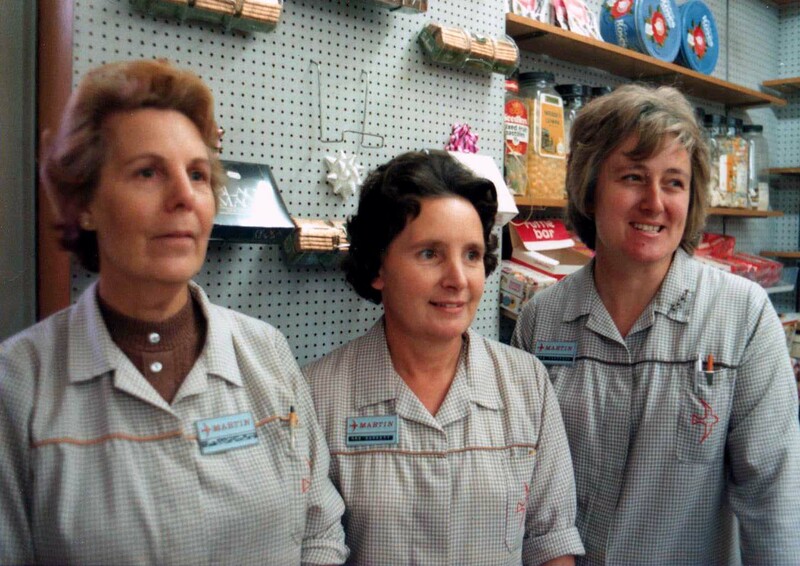 l was a stock taker with Martins from 1965 to 1978 and visited this shop regularly during that period and remember all three of these ladies. I later became area manager for this branch from 1978 until 1983. The branch manager was John Hacker and his wife Jacqueline. John who had transferred to Stevenage from Farnham Royal in Slough very sadly died, I seem to recall from a brain tumour behind his eyes leaving a devastated Jacqueline and young family. I left the company in 1983 and returned to my native Isle of Man where I still live but on many occasions have often remembered the happier days. I have no idea what happened to Jacqueline and the children but hope they are all well, happy memories for me before John’s tragic and untimely passing. I worked at Martins the newsagent when I left school (Barnwell), I remember working with Maureen.